Prime subscribers can now get free same-day delivery in more than 1,000 U.S. cities and towns. Amazon massively expands free same-day Prime delivery in the U.S.
Amazon’s free same-day delivery service for Prime subscribers just got a major expansion, arriving in 11 more metropolitan areas. The new cities include Charlotte, Cincinnati, Fresno, Louisville, Milwaukee, Nashville, Raleigh, Richmond, Sacramento, Stockton, and Tucson. Amazon is also supporting more neighborhoods in Central New Jersey, Dallas-Fort Worth, Los Angeles, and San Diego, where same-day service is already available. Amazon offers roughly 1 million items for same-day delivery, versus 30 million items that are eligible for Prime’s standard two-day shipping. To get same-day delivery, Prime subscribers must place an order of at least $35, and no later than noon in most cases. Orders under $35 carry a $5.99 same-day delivery charge. The online retailer started dabbling in same-day delivery way back in 2009, and has steadily expanded its footprint since then. The one exception is Las Vegas, which stopped getting same-day deliveries in 2014). 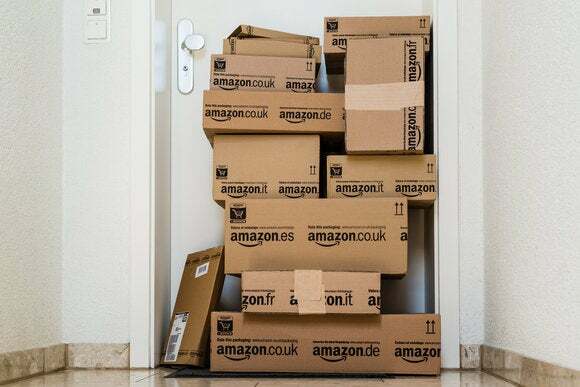 Why this matters: Same-day delivery is notoriously tricky to scale beyond large cities, and several other major retailers have failed to make it work. Walmart, for instance, tested its own service a few years ago, but is now focusing on grocery ordering with same-day curbside pickup. Same-day services from Target and eBay never left the testing phase either. Amazon may face some competition from Google Express and UberRush, but neither have moved beyond major cities with same-day service just yet. For now, Amazon’s massive retail engine stands alone.